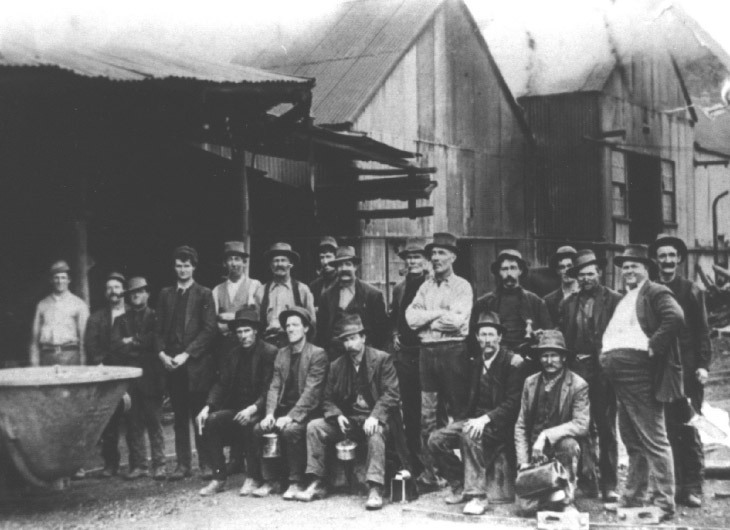 When the copper mines closed in 1868, all the miners were put out of work. Some turned their hand to gold sluicing along Cadiangullong Creek in the 1870s, but the majority sought work at other mines in the district, leaving their families behind, so the children could still attend school. When the Cadia mines failed to re-open, they took their families away with them. 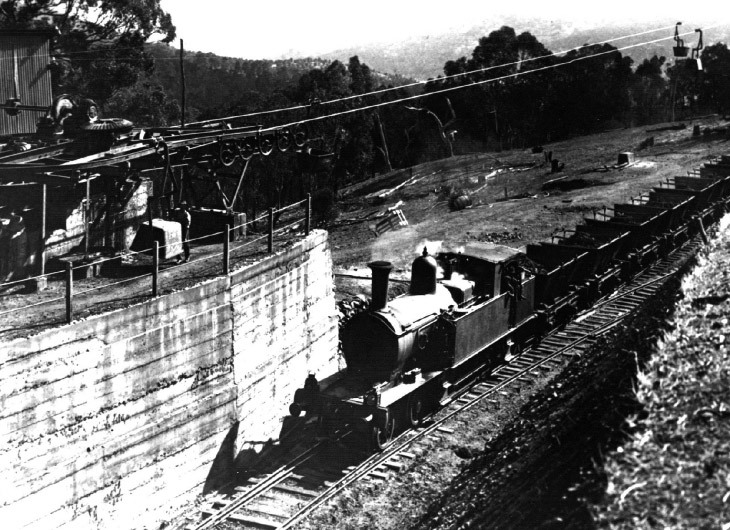 The presence of a large deposit of iron ore had long been known at Cadia, but it was not until 1919 that the Iron Duke was opened up by G & C Hoskins, the ore being transported by rail to their Lithgow blast furnaces. When the Lithgow plant was closed in 1928 and transferred to Port Kembla, 200 men were put out of work at the Cadia quarries. Cadia Village was not able to withstand this final blow and was abandoned. The Iron Duke was re-opened from 1943-1945 to help with the war effort, this time providing ore for the works at Port Kembla. The search for gold in and around Chilcott’s Shaft ironically located a new find of copper at West Cadia in 1905. This led to a resurgence in copper mining, first by the Cadia Copper Mining and Smelting Syndicate, then from 1908 by the Cadia Copper Mining and Smelting Company Limited. The productivity of the mines is demonstrated by the need for smelting works, first a set of new reverberatory furnaces in 1905, then a water jacket smelting plant in 1912. The copper ores were exhausted by 1917. 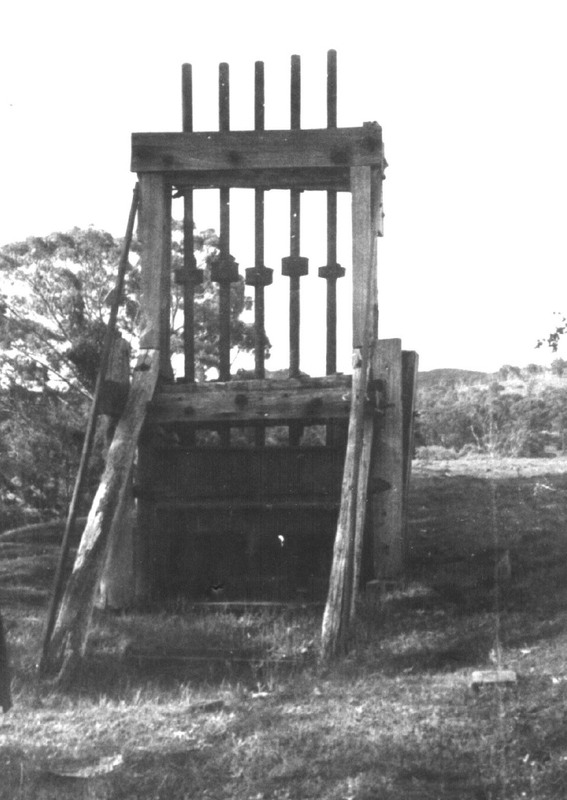 The Wire Gully Diggings were the location of a small gold find in the 1880s and 1890s, worked under a series of gold leases. 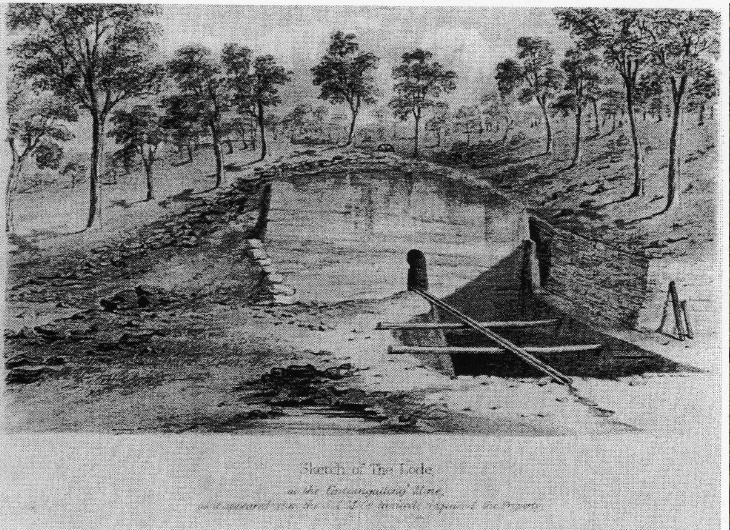 A water race, several kilometres long, and a dam were constructed, the water being used to sluice for gold, leaving a severely eroded landscape. The land had originally been part of the Errowanbang Estate, but was resumed for sheep farms in 1951. 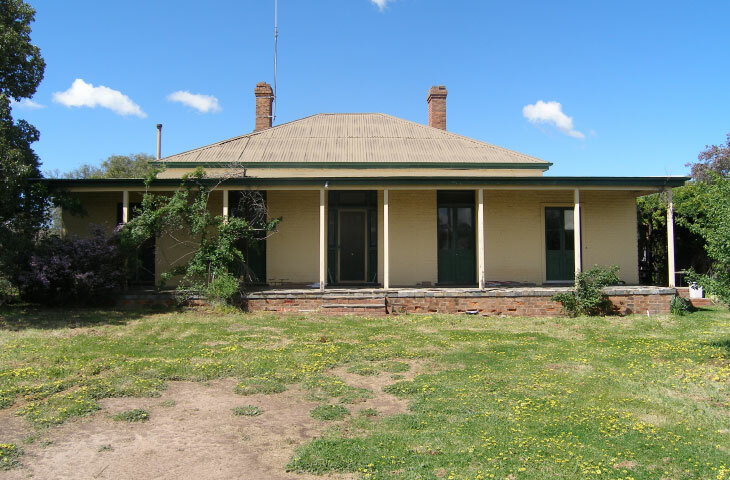 The farm at Wire Gully is now abandoned, and the shearing shed is now a part of CVO mining operations. The land had originally been part of the Errowanbang Estate, but was resumed for sheep farms in 1951. 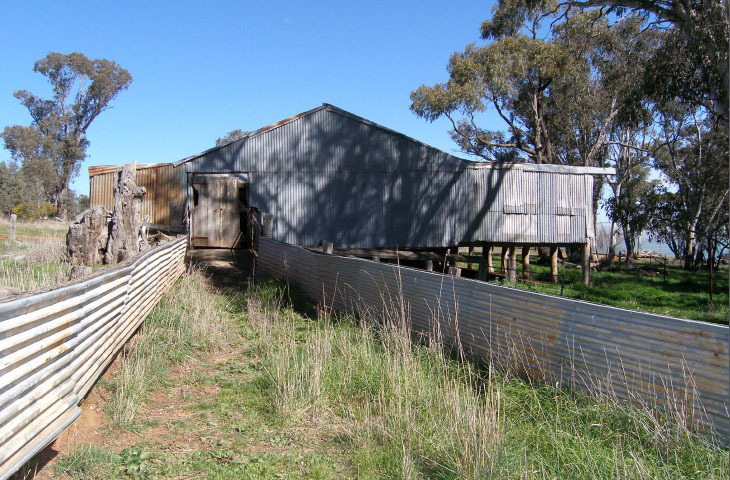 The farm at Wire Gully is now abandoned, but still has its shearing shed. The land adjacent to the Cadia copper mines was declared a common in 1866 as a source of timber for the miners. When the common was revoked in 1879, Henry Hunt took advantage of the chance to obtain land near Cadia Village, where he was a storekeeper. 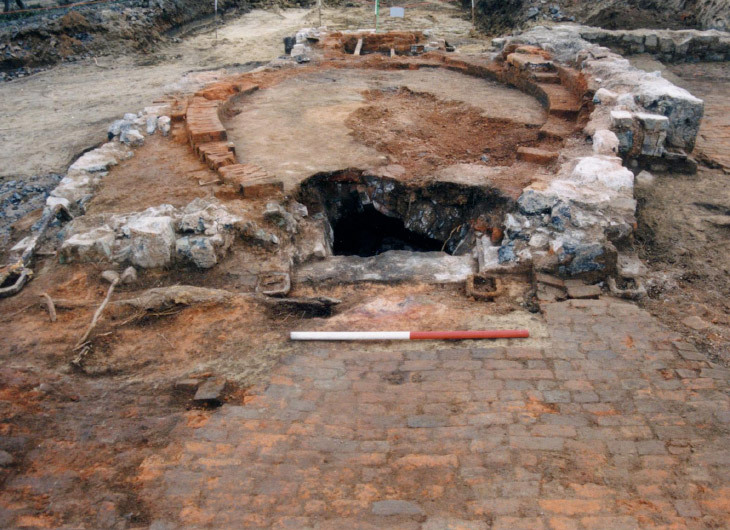 The story of Tynan’s Slaughterhouse, which supplied fresh meat to Cadia Village, was revealed by excavation in 2001. Historical research indicated a long-term connection with Cadia Village, its storekeepers and other suppliers up to 1929. The Ridgeway Farms originally comprised 26 individual portions of land, the first of which were acquired in the 1870s. In a process common in the Central West, these small farms were progressively bought up and amalgamated into one larger holding of 3,100 acres by 1929, now named Tunbridge Wells. For viable sheep farming, a property of 900 – 1,000 was considered the minimum size. 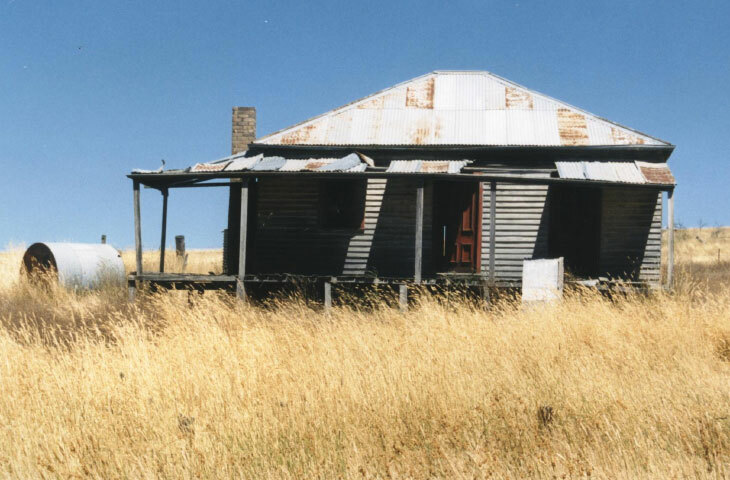 The abandoned home sites bear witness to the loss of population from the bush, while the shearing sheds indicate the value of wool in the economy of the Cadia area and Central West in general. 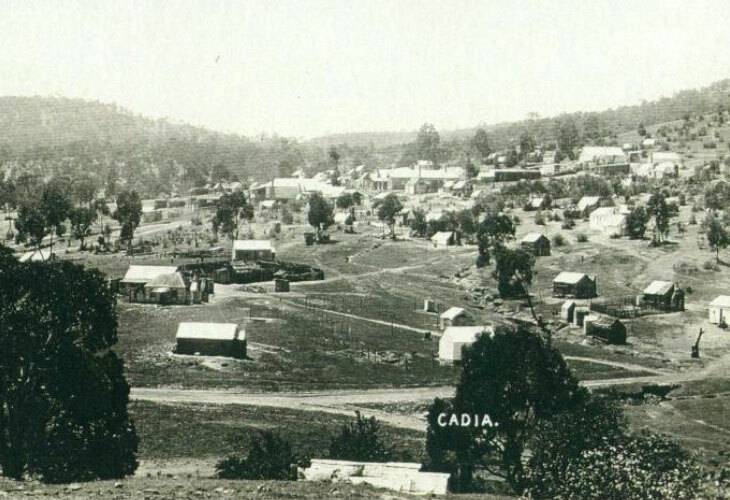 The area around Cadia was settled as small farms in the 1860s and 1870s. Waringa was taken up by William Colman when he married Sara Baker in 1881. They brought up their five children, first in a small hut, but later in a larger house, both of which William built. He was never able to pay off the loan of £150 to build the new house. Small farms in the Central West rarely allowed more than a subsistence lifestyle and many farmers had to earn extra income from other jobs. The smaller farms were bought out by larger landholders. The excavations in 2003 revealed the story of one small farmer and his family. Copper Smelter No. 1 was only the second efficient set of copper smelting furnaces ever to be constructed in New South Wales on a mine site. The set of five reverberatory furnaces were erected in 1861-1862 in a large timber shed or smelting hall. One other furnace was constructed in 1888-1891 opposite the hall and there was a small conical furnace of unusual construction as well. The whole site was revealed by archaeological investigation in 2000. 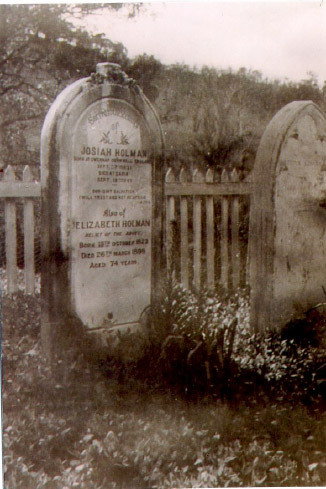 Cadia Cemetery records the deaths of many in the local mining community, from the mine manager, Josiah Holman, to the youngest of children. In the nineteenth century many young people died of diseases that are curable today. The first burial on 30 November 1864 was for Mary Jane Ford, who died age 3 of worm fever. The last burial was in 1927, when the community had largely moved away. 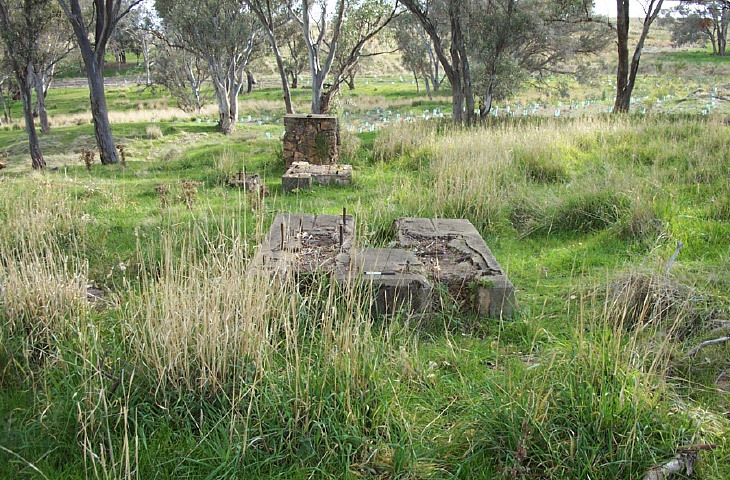 The cemetery lay undisturbed in its rural setting until the new mine opened. Great effort was made to relocate all the burials to their new resting place in a Garden of Remembrance on the hill overlooking the mine at the old Engine House. Although they were living far from town, the miners’ families were not going to be without an education for their children. They successfully petitioned the government for a school in 1865. Children continued to be taught here until 1930, but both historical and archaeological evidence indicates that some of the poorest parents could not afford the fees for the public school. How lucky we are today to have free education for our children! A village for the mine workers was first established in 1861. Through mining boom and bust the village continued into the twentieth century, but was in terminal decline in the late 1920s. All that remains of the village today is an open paddock, closely hemmed in by the modern mine workings. It is difficult to imagine how this was once a thriving community, but it has been brought back to life through archaeological excavation and historical research. The North and South Section Mines were opened up in 1864 by the Cadiangullong Consolidated Copper Mining Company. The Engine House was completed in 1865, but, in spite of the large capital outlay, only continued in operation until 1868. 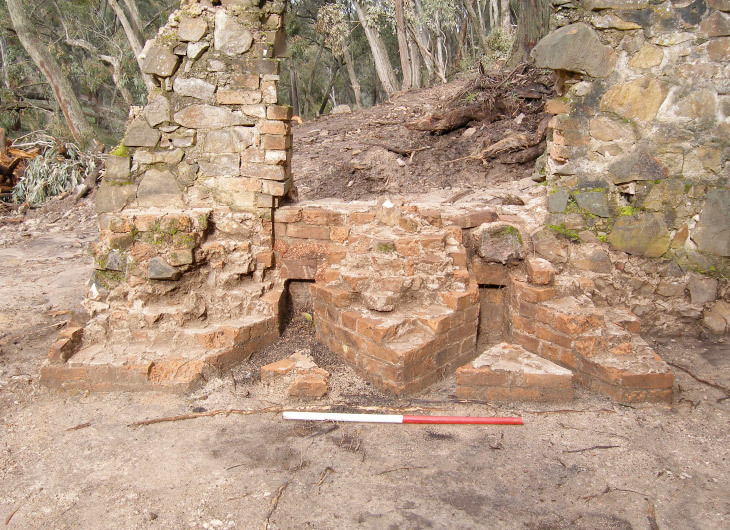 The Cadia Engine House is the only one of its type in New South Wales and is therefore highly significant. 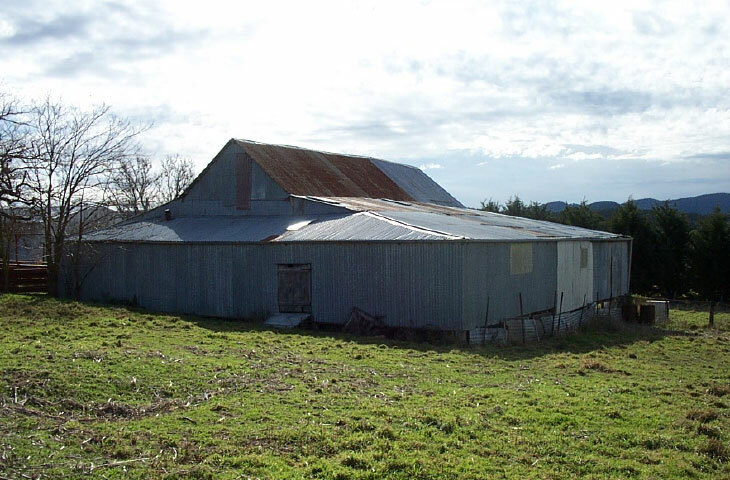 As with other farms around Cadia, Te Anau was taken up as a series of small portions from the 1870s. Josiah Holman, the mine manager, bought the farm in 1879 and it stayed in his family and descendants until 1956. Josiah possessed a total of nearly 5,000 acres in the district and is a good example of how a skilled miner was able to use his income to settle on the land. 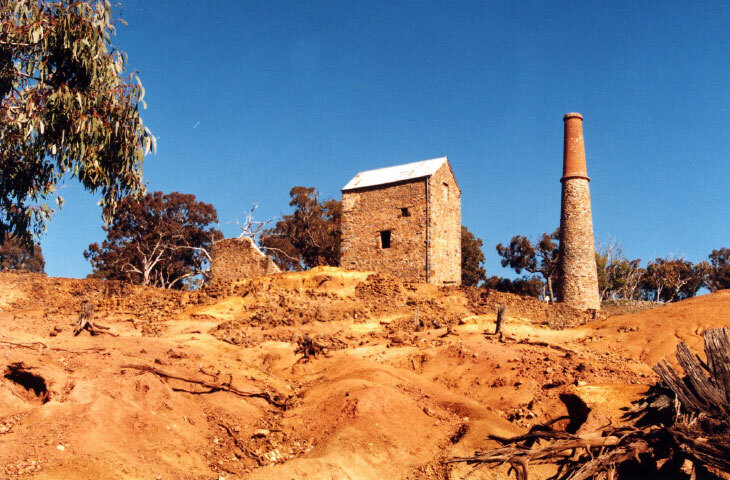 The East Cadia Mine was the earliest copper mine on the east bank of the Cadiangullong Creek. It was mined for a short period in the mid to late 1850s before it was realised that better prospects were located on the opposite bank. Copper ores were found at Little Cadia in 1851, but the Gold Rush diverted attention away from this potential mine until 1856. The Canoblas Mining Company exploited the ores from 1856 to 1859 or 1861. 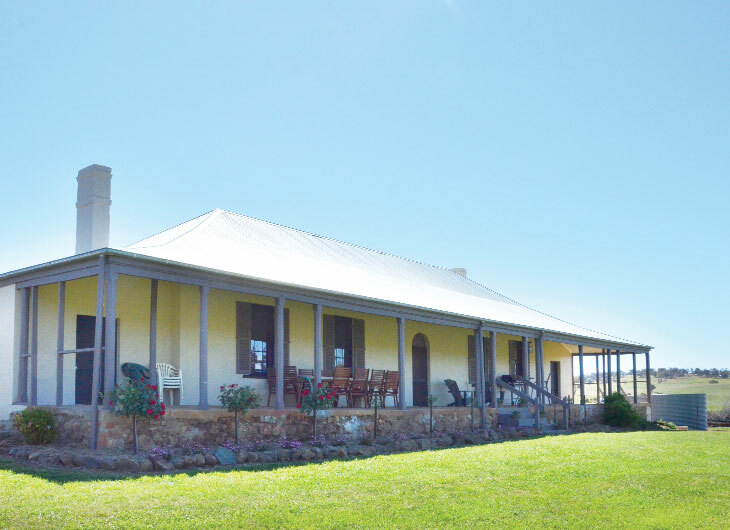 The Old Errowanbang Homestead marks the site of the earliest historical settlement in the area. 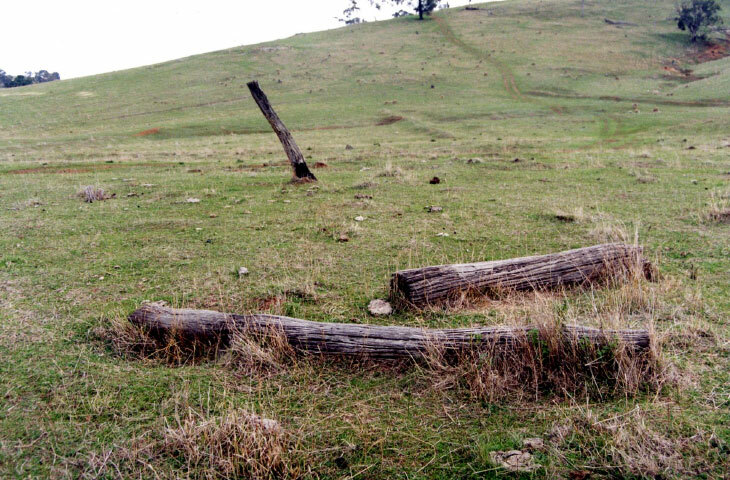 When William Lawson, senior, selected this land in the late 1820s, the Panuara Rivulet was as far west as any white settler was permitted to go.